Bridges and trains: the metaphor couldn’t be any clearer. The ground is moving beneath my feet. I’m crossing from one thing to another. I’m on the cusp, ready to go. I’m not sure where or what, but I have resolved to make a major change by January. That could mean moving to TopSecret school for the Writer-in-Residence position (I interviewed this morning). It could mean going to Oregon for two weeks to help out at the Pacific Residency, then to Washington for a week where I will have a reading at Whitman College. 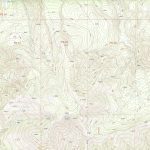 From there, who knows: Fishtrap in eastern Oregon? A winter excursion to Denali, where friends have offered to put me up in their extra cabin and show me their world of mushing? Vermont Studio Center? Move to a coastal town and search for new inspiration in the metaphors of the tides? “I think it’s time for you to come out of seclusion,” a friend told me recently. I think she’s right. I’ve lived without television since I was 18. I do not own a cell phone. I use dial up Internet. I’ve lived alone in isolated cabins and houses for four years, bartering for my rent and devoting myself to writing. I know I can work the writing muscles in seclusion, now I’ve got to get out there and see if I can keep them working. But first, there is this next, most immediate adventure to tend to. This weekend is Burnsville, NC’s annual Carolina Mountains Literary Festival and Shane and I have two presentations plus a panel. There are also many presentations going on that I want to attend as a participant. Sunday I’m packing up for Virginia Center for the Creative Arts, studying my road maps, and loading the car. Monday morning, I head out for a two-week residency there. Ready? Set? Go!